Disney Cruise Line has created a lineup of family shore excursions for the upcoming Mediterranean season. 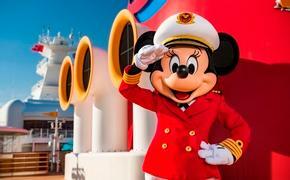 The Disney Magic will sail 12 cruises in the region from Barcelona starting June 1. Designed to entertain children and adults, the excursions feature more scheduled breaks, complimentary snacks and beverages, and port activity sheets for kids. New signature adventures in Venice include a private, after-hours tour of the Doge’s Palace, a walk over the Bridge of Sighs, and a reception with Disney princesses. Other options allow passengers to try piloting a gondola on the city’s lagoon or letting children create a traditional Venetian mask. In Mykonos, parents can visit Delos for shopping and sightseeing while kids join youth counselors to make mosaics.